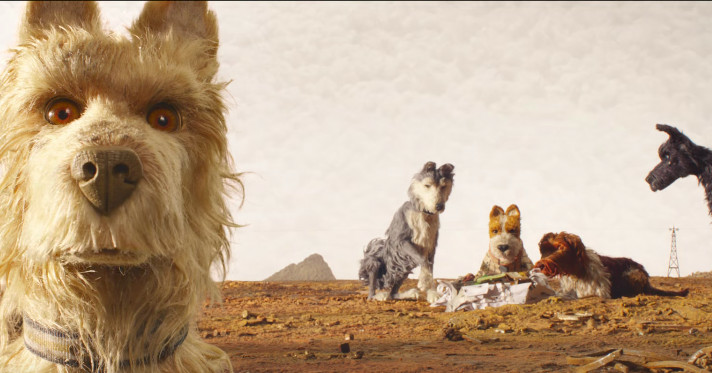 The first trailer for Wes Anderson’s upcoming stop-motion animation project, Isle of Dogs, is here, and it looks like a very Anderson-esque mix of sci-fi and twee. The movie is set in a futuristic Japan, where an outbreak of “dog flu” has necessitated a mass canine quarantine by the government. A young boy pilot named Atari Kobayashi flies to the island to find his sequestered dog, while the evil Mayor Kobayashi tries to stop him. You can also expect to see a raggedy one-eyed pup whose heart will presumably grow by the end of the movie, a teenage crush, and at least a few sniffing jokes. There’s also a massive number of famous people voicing characters in the movie, including Edward Norton, Bill Murray, Scarlett Johansson, Bryan Cranston, Tilda Swinton, Greta Gerwig, Frances McDormand, Jeff Goldblum, Harvey Keitel, Liev Schreiber, F. Murray Abraham, Courtney B. Vance, Bob Balaban, and Yoko Ono. Last year, Anderson raffled off a small part in Isle of Dogs as part of a CrowdRise fundraiser for Martin Scorsese’s Film Foundation, so whoever won that raffle is going to find themselves in good company. Isle of Dogs comes out on March 23rd, 2018.